Moose is an expert at chewing, taking naps, and playing with every dog in the office. Treat yourself and your pet with our top 10 activities to celebrate your pet on National Pet Day. It's easy to teach your dog new tricks and better obedience with treats. Just give your dog a treat when he does what you want and add a command. How do you keep cats from scratching furniture, jumping on counters, or getting in off-limits rooms? Check out these DIY cat-friendly upgrades that make it easy to take care of your cat. Learn how to easily make your own hidden litter box or repurposed crate cat bed. Is the Easy Walk® Harness or the Gentle Leader® Headcollar the right walking tool for your dog? Watch this video comparison to find an easier way to walk your dog. How can you help prevent cruelty to animals? Enter your pet's photo for a chance to win free toys for a year! Today's your last chance to enter! Still have a few gifts left on your shopping list? We've got the perfect gift ideas for the pets and pet lovers left on your list. The best part? You'll be helping spread some holiday cheer to pets in need. For every gift purchased from our Naughty or Nice Pet Present Guide, we'll donate a toy to an animal shelter. Watch our finalists' awesome videos! Who will win a dog park for their community? Find out on July 31st! Do you feel guilty when you spot your pet's empty water dish? Fill 'er up with fresh, filtered water. Read on for tips on keeping your pet healthy and your pet fountain in tip top shape. Your town has been working to build votes and rally the community around the contest to win a local dog park. What comes next for Phase 2? Having trouble remembering to vote for your city every day? Download our doggy phone, desktop, and tablet backgrounds as your daily reminder to vote! Over 54 million homes have dogs, but not all of these dogs have a place for these dogs to just be dogs. That's why every year, we help 5 communities build dog parks with our annual Bark for Your Park contest. We get to bring our dogs to work every day and help over 2 million pet families every year. Get to know the people and pets who make PetSafe Brand a great place to work! Every product we create is designed with pets and their parents in mind, so in 2014, we conducted an In-Home Usage Test (IHUT) for the Healthy Pet Simply Feed™. Our testers gave us some great feedback. Does your pet wake you up in the morning for breakfast? Do you feel guilty when you can’t feed your pet on time? If you answered “yes” to any of those questions, an automatic pet feeder can help you feel like a better pet parent. We had multiple entries to our “Share the Love Photo Contest,” and each one had a unique story. Here are our winners, as chosen by random drawings. How much does a pet teeth cleaning costs? Do you know all of the signs of periodontal disease? Save money and save your pet's teeth with these facts about dental disease. With the Fit 15 challenge ending and spring slowly emerging, it is our hope that you will continue your healthy habit. For additional inspiration, we have a few tips and tricks to help you along the way. The PetSafe Fit 15 Challenge is our way of encouraging you to stay active with your dog. Each day in January, enter a different challenge to win prizes and have fun. Hate cleaning your cat's litter box? Sick of smelling the litter box everywhere in your home? Learn how to ditch the pooper scooper with a ScoopFree automatic litter box. Pet proof your home for the holiday to keep your pets and your home safe from harm. As winter sneaks up on us, our product experts put together a few tips to keep your containment system flawless and your pet door air-tight for cold weather. We recently held a “Thankful for Pets” contest on social media asking pet parents to submit a photo along with a caption telling why they’re thanking for their pet(s), and we just couldn’t get enough! Looking for a holiday getaway but not sure what to do with your pet while you’re gone? We’ve found 5 pet friendly vacations for you and your four-legged family member this winter. Here are a few fall freshening tips for around the house that not only benefit you, but your four-legged family members, too. What does it mean when your dog yaps repeatedly or yelps once? Learn "dog speak" with these 10 translated barks. Thanksgiving with pets doesn't have to be stressful. 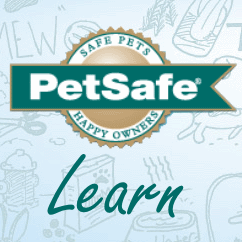 Get tips on keeping pets and people safe. Halloween is a fun-filled holiday for children and adults, however, for a cat it can be a stressful and dangerous holiday. Keep your furry friend safe and calm with these tips. The Himalayan Blue Drinkwell Pagoda Fountain was featured in the 2014 DIY Network™ Blog Cabin serie. Not only was it featured in the Blog Cabin series, but since it was the people’s choice against Taupe, we made it out newest fountain color, available for purchase now! To bring your pet on the door-to-door candy mission, it's going to take planning, patience, and definitely coordinating costumes. Read our tips for trick or treating with your dog. Every story of cancer and cancer survival is unique. Our 2014 walk was led by a very special guest named Ella. With all the hustle and bustle of a new start for your favorite team, it may be easy to forget your furry friend waiting at home. Don’t let your best bud’s care fall by the wayside as you get busy. Does your pet have a drinking problem? Your pet is at risk of dehydration during extreme heat. Get the facts during National Hydration Month. What do service dogs do? How do they help people in their everyday lives? Win a new dog park with these Bark For Your Park tips. Celebrate your pet's birthday or adoption day with barkday cake and a pawesome party! Give your dog a command and then give him a treat. Sounds easy, right? Learn how to teach your dog new tricks in no time! You're bringing home a new puppy! Congratulations! Check off these items on your pupy prepper checklist. What food should I feed my dog? How often should my pup go to the vet? Get answers to your top dog care FAQs. Moose and I are loving our new job at PetSafe. He loves going to work, and I love seeing him have fun with all of the PetSafe products. Keep your pet on Santa's nice list by removing these dangerous yet common holiday items in your home.